Home / Barack Obama / Behind Enemy Lines / Demokrats / Gene Berardelli / Hank Johnson / hillary clinton / ICYMI / Maxine Waters / Roger Goddell / Russell Gallo / Tom Brady / ICYMI - The Demokrats Are Commies! 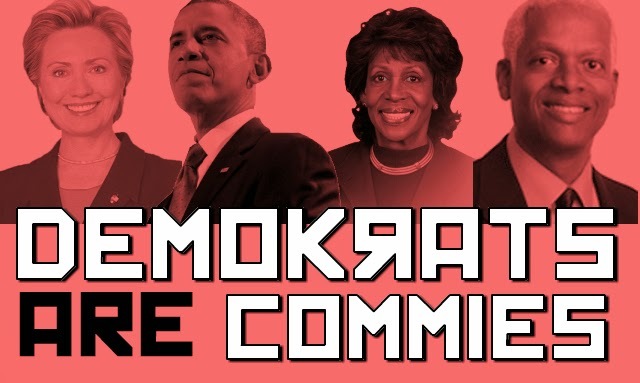 ICYMI - The Demokrats Are Commies! Gene Berardelli and Russell Gallo just put it out there - today's Democrats act a lot like Communists. President Obama calling hedge fund managers "Society's Lottery Winners" who have more than they "need" and should "re-invest" in government-supported programs?!? Hillary Clinton saying that corporations do not create jobs? Maxine Waters looking to socialize... I mean... ummm.... have government take over all the businesses? Hank Johnson saying that passing the GOP Budget will result in violence in the streets by the "have nots" and stating that "free marketers" are "detrimental" to America. Has every Democrat gone mad?!? Plus, check out this week's Buffoon of the Week - who ya got?!? Tom Brady or Roger Goddell? Vote on www.behindenemylinesradio.us!